It’s time for your child to experience imagination and adventure, as the sights and sounds of Woody’s Play Barn fill them with wonder! 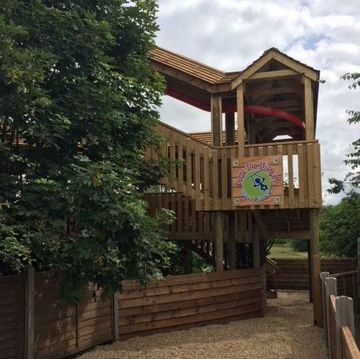 As an indoor and outdoor play area based in Hertfordshire, we’re the perfect place to visit when your children need to let off some steam. Our play area has a huge range of equipment, which makes us a great destination for children of 11 years or under. From the tumble towers to the puzzle area for toddlers, there’s sure to be something that they enjoy. Covering more than 2000 square feet of space across 2 levels, our play area is filled with activities and equipment. 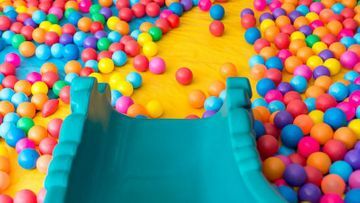 It’s got all the good stuff; slides, tubes, ball pools, suspended walkways, rope walkways, fireman’s poles, and tumble towers, and we even have a play area for toddlers as well! This features shapes, puzzles, rockers, games, interactive panels, and building blocks. Satisfy your child’s sense for adventure with a visit to Woody’s Play Barn. As a fantastic party venue, Woody’s has bundles of party options to choose from. We cater for children of 11 years and under, and we have enough space for your children and all their friends. 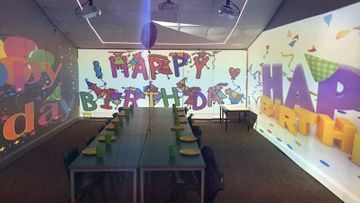 With homemade food, healthy menus, and facilities for parents to relax, we take the pressure off, making your experience at your child’s party even more enjoyable. There’s often no beating the great outdoors, so we have an adventure play area that contains everything children dream of. It’s filled with rope ladders, slides, bridges, and balance beams, which makes it fantastic for children of all ages. Let your child’s imagination run wild while you let off some steam. 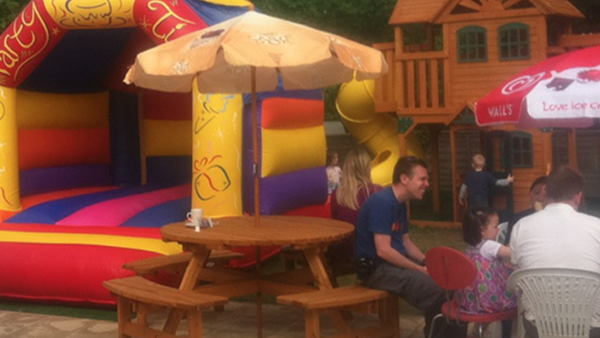 We’ve thought of the mums and dads too – surrounding the adventure play area is the picnic area. This gives you space to relax and enjoy snacks and drinks, while providing a great vantage point to watch your child play. You may also want to join your child for a round of Woody’s Crazy Terrain Mini Golf, which is great fun for all ages and abilities! 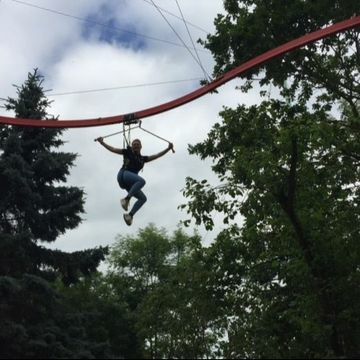 Skyrider is a brand new way to experience flying. Ride through the trees twisting and turning above the crazy terrain mini Golf and over the pond. Minimum Height for the ride is 1.0m. 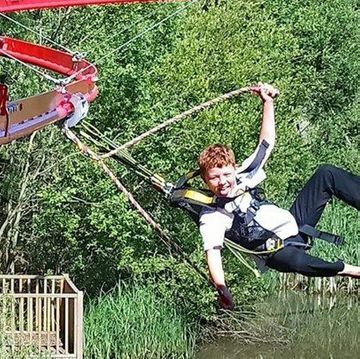 Skyrider is only open Friday to Sunday in term time. School Holidays skyrider will be open Monday to Sunday. 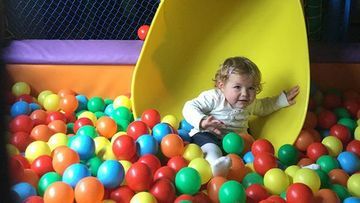 Softplay entry plus £2.50 for 1 spin. There’s a variety of food and drink – both hot and cold – at Woody’s! Both adults and children are sure to love our selection, and we cater to most dietary needs. Look out for Woody's 'After School Play and Eat' deals on Mondays to Fridays (term-time only). Due to health and hygiene regulations on allergies, no food is permitted on the site unless purchased from ourselves. We are proud to be a nut free site and offer menus to cater for special dietary requirements, so please respect this rule for the safety of other visitors. We’re just a short drive from Ware, Hertford, Hoddesdon, Hatfield, Welwyn Garden City, Stevenage, Tonwell, Broxbourne, and Watton-at-Stone. We look forward to seeing you! Contact our team, in Hertfordshire, for further information about our current activities.